A man learns one of the hardest things in a relationship is differentiating your lovers' desires from their tests. In Welcome To Hexville, the first book of the Hexville series, a documentary crew meeting with the peacekeeper sheriff of Hexville discovers that with the exception of him and his deputies, the citizens of Hexville are far, far, far from what they expected when they left the "calm" of LA for this assignment. Everyone in the town possesses mystical abilities, and it's the job of the peacekeeper and his deputies, all unbiased and unaligned, to maintain order between the funny and at times contentious townspeople. 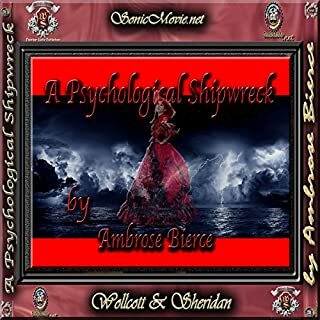 Unknowingly, a man lives two separate lives simultaneously on two different ships parted by a vast ocean until a storm at sea brings a forced unification. Earth's first interstellar mission arrives at the exoplanet Alpha Centauri Bb, believing it to be uninhabitable, to discover the joys and horrors of near light-speed travel. This is the cute, short poem, "Antigonish" or "The Man Who Wasn't There", inspired by reports of the ghost of a man roaming the stairs of a haunted house in Antigonish, a town in Canada's Nova Scotia province. 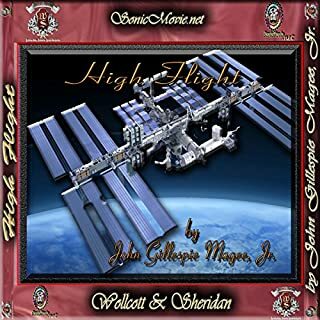 By: John Gillespie Magee Jr.
An aviator expresses the angelic freedom of flight. Girlfriend Apocalypse I Following a breakup, a couple unexpectedly meet, and both fury and sparks fly. 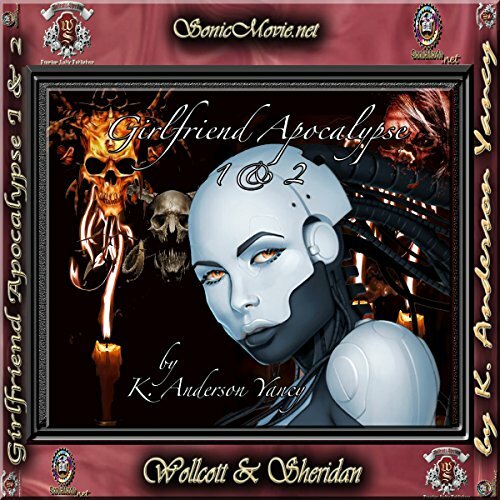 Girlfriend Apocalypse II An onslaught of supernatural events assails a man who quickly realizes both the source and the two competing choices he faces. I like listening to K. Anderson Yancy short stories, the sound effects are amazing lol. Love this story a lot. Love K. Anderson Yancy and his SonicMovies. "This audiobook was provided by the author, narrator, or publisher at no cost in exchange for an unbiased review courtesy of AudiobookBlast dot com." This was a short story. But at first it took me a while to figure out exactly what was going on. You can say that it went over my head at first. I realize it was about a relationship and the emotional turmoils that occur during a breakup. Some others may like this type of story moreso. but for me while interesting in its concept - it just wasn't my favorite type. I do think the narrator did a good job, and the background effects were very good. I have to recommend listening to this at home/somewhere quiet vs outside where other background noises can distract you away from the story. I don't believe I would, despite the fact that I myself enjoyed it a fair bit just because of the length involved. If they had an opportunity to hear it without buying it I would certainly recommend that but it seems more like a tech demo than a story. The little story that is there however is enough to hold it together. If you’ve listened to books by K. Anderson Yancy before, how does this one compare? This is the worst I've heard from him, but still qualifies as pretty darn good for entertainment value. Like I alluded to in the previous question I think that the stories were a little thin but I still give them major props on production. Just the amount of tension that he has in everything he says and the way that it seems to belong with the sound effects and everything going on around it. I got this for free in exchange for an honest review. The sonic movie idea is awesome and well done in this case but I feel the story itself could've been beefed up a little. The other one's I've heard have been great. I recommend this, but I recommend the rest of their catalog more.